How do we teach children the way of the cross? 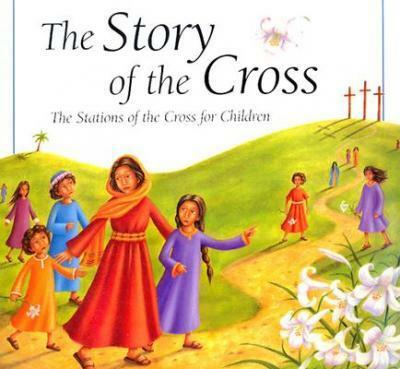 A great starting point is introducing them to the Stations of the Cross, and this book will help you do so in a child-appropriate way. The Story of the Cross "gently tells the story of the events leading up to Jesus' crucifixion and resurrection. With a refined sense of style and sensitivity, illustrator Gail Newey and author Mary Joslin show young readers that although the way of the cross is not easy, God gives us strength for the journey and gives us new life through his love. A short prayer accompanies each station. Ages 4 and up.